Birchbox November – Cosy at Home. I’ve been experimenting with beauty boxes for about a year now and I must say I rather like them. You know that is an understatement, what I really mean to say is that as with all things that I really like its become a bit of an addiction and during long bouts of insomnia the unveiling of beauty boxes on YouTube has overtaken my love of watching knitting, sewing and adorable kittens. Many a happy three a.m. stint has turned into a thing of wonder and excitement as to what all of those products are really like – I think its because I come from a deprived childhood where the only exploration of beauty products was at the No.7 counter in Boots or what was left from the cheapo counters that hadn’t been shop lifted in Woolworths. We didn’t dare go into the exclusive area that was ‘roped off’ in the local chemists, that wasn’t for the likes of us. I can still remember the shop assistants jumping to attention as the gentrified ladies would swish into the shop, area’s opened up to them, perfume sprayed, lipsticks examined. But now we have the internet and all that that entails and it is a wonderful place to be living in. In my opinion, beauty boxes are amazing. For the price of a good lunch you get to sample 4 or 5 products, which generally 1 or 2 may be full size. Sometimes you get a duff box, its like all things, and sometimes there are too many hair products for my liking, what with mascaras, conditioners, hair masks, hair sprays, dry hair shampoos, general shampoos, false eyelashes, eyelash moisturiser, eyebrow powders, eyebrow pencils and eyelash curlers, I’ve had them all. Now they go straight in the bin, I’ve learnt to overlook it and just look for the fun bits. Although I have to say Love Me Beauty has just changed their whole set up, and now we can pick our exact items that we want to try, I had a great box last month, it was brilliant. Glossy Box are lovely, but I gave up in the summer as the hair products were outnumbering anything else, but I’ll look at them in the future. Birchbox are having a really good November, price £10 plus £2.95 p&p. Their box this month is called Cosy at Home and its a real treat. All the boxes vary a little bit but we all got a full sized Dr Jart+. 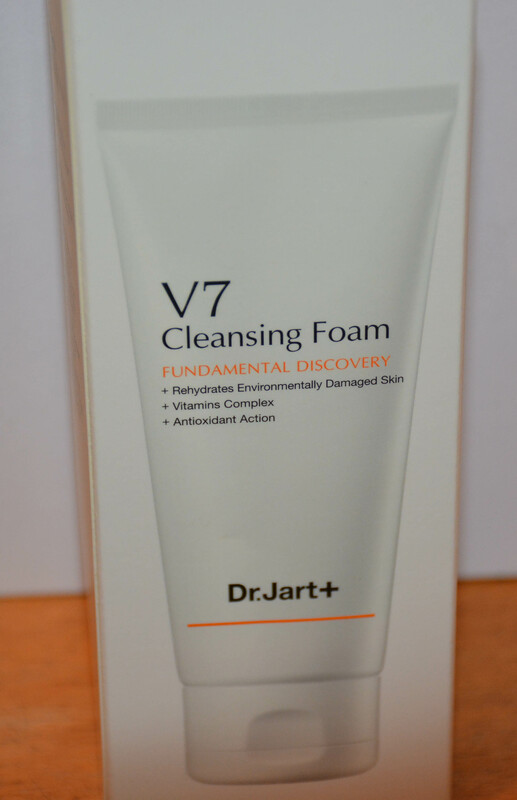 Mine was a V7 Cleansing Foam, a full sized product costing £15.00. The write up reads ‘Rich in vitamins and antioxidants, this sulphate-free cleanser leaves your complexion radiant and bright!’ I’ve tried it and its lovely, I’m normally a cleanse, tone and moisturise kind of girl, so to try something I would never normally is always good. It was very rich and creamy and smelt quite sophisticated. I liked it. 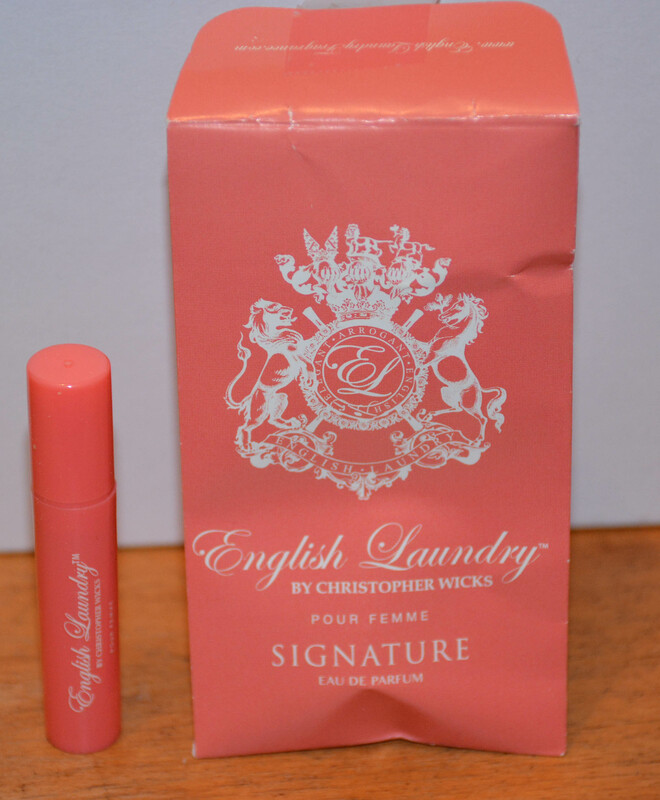 A sample of English Laundry – A Signature for her, perfume, full price £60.00 Its nice, pretty, floral, slightly musky. The container is quite full, pleased. This was interesting, I’ve never tried a bronzer. 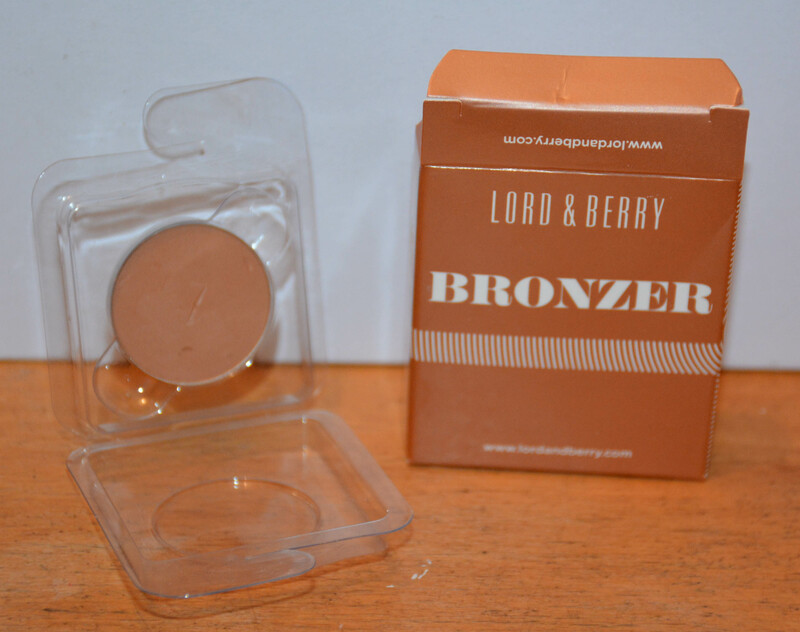 Lord & Berry mini bronzer in Sienna, full price £19.00 I am very fair and I’ve swatched it on my wrist and it doesn’t come across as too dark and it is matte which makes it more usable. 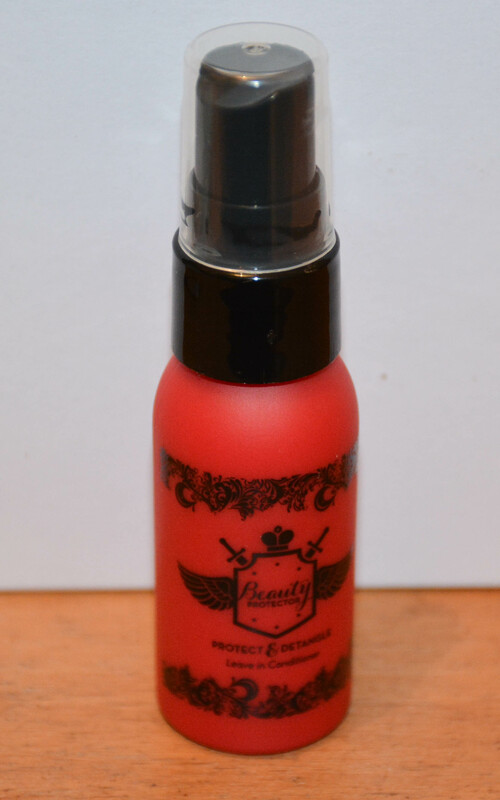 I might use it as an eyeshadow, it is a very fine powder which is nice. I’ll play with it and see what happens. The packaging was a bit basic, but hey ho, you can’t have everything. And this is wonderful. 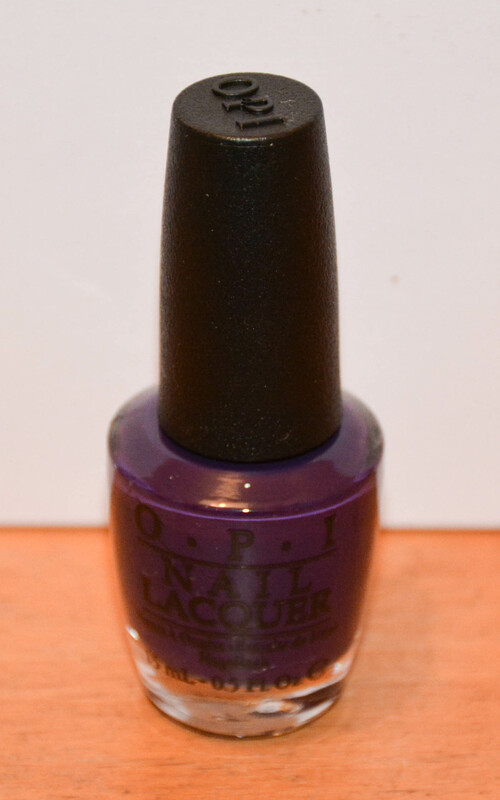 A full sized Opi nail polish £11.95 in A Grape Affair, from their limited edition Coco-Cola collection. I’ve over exposed this photograph so you can see the writing on the bottle, it is darker than this, I think it will be very pretty over winter. Opi has such a strong following so I am really pleased to have the opportunity to try it. And there was also a small packet container 6 multivitamins from Drinkwell. Full price £39.99 – Expensive Vitamins! (I think I must have put them in the cupboard). This is from the Lifestyle section of the Birchbox selection when weird and wonderful things get popped in for you to try. These are meant to be about taking them before a night on the tiles and afterwards to make sure you are loaded up with all the good stuff needed to recover from a night out. I’ll just take them as a normal vitamin, but it is always amusing to see what the marketing men are coming up with next. Over all it was a great box, I’m really happy with it.